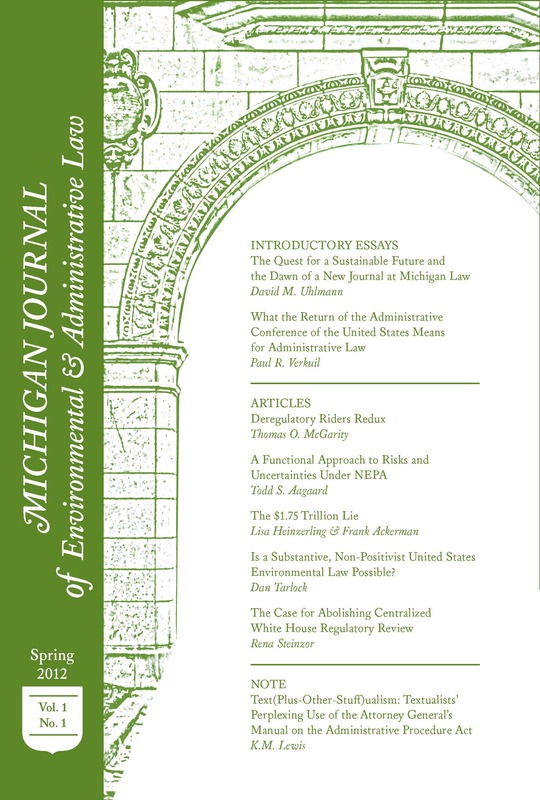 Even outside the context of environmental law, the administrative necessity doctrine is rarely applied and never successful. Public Citizen v. Shalala concerned a restaurant menu exemption from the nutrition and health labeling requirements of the Nutrition Labeling and Education Act (“NLEA”). The district court gave significant consideration to the FDA’s argument that administrative necessity justified the exception before ultimately deciding that the doctrine could not justify the exception. After acknowledging that the doctrine could theoretically justify this type of exception, the court held that the “FDA has not borne its ‘especially heavy’ burden of establishing the administrative impossibility of applying the . . . provisions of the NLEA to restaurant menus.” The agency had twice stated that a lack of resources prevented it from enforcing its regulations in restaurants, but those statements had been “proffered in support of the agency’s decision to hold restaurants to a lower standard for substantiating claims of nutrition content and health, not of its decision to exempt menus altogether.” The proof that the FDA had given of its lack of resources pertained only to another context, so it had not met the heavy burden of proving impossibility. Although there are some potential benefits to use of the doctrine, the problems it creates are difficult to overcome. Primary among these is the fact that, by definition, exceptions justified by administrative necessity run counter to the statutory mandates given by Congress. Allowing agencies the discretion to deviate from the plain text of a statute creates concerns analogous to those motivating the non-delegation doctrine, which “prevents ‘agency lawmaking on the cheap’ by requiring the legislative power to be exercised through the Article I, Section 7 requirement of bicameralism and presentment.” By allowing agencies to cure the implementation issues that aspirational statutes create, the administrative necessity rationale arguably allows Congress to “avoid making the hard choice of where to direct scarce administrative resources.” Allowing an agency to substitute its own policy choices for Congress’s policy choices in this manner would undermine core separation of powers principles. David Williams is an Editor of the Virginia Environmental Law Journal. He is a third-year student at The University of Virginia Law School. This post is part of the Environmental Law Review Syndicate. Click here to see the original post and leave a comment.